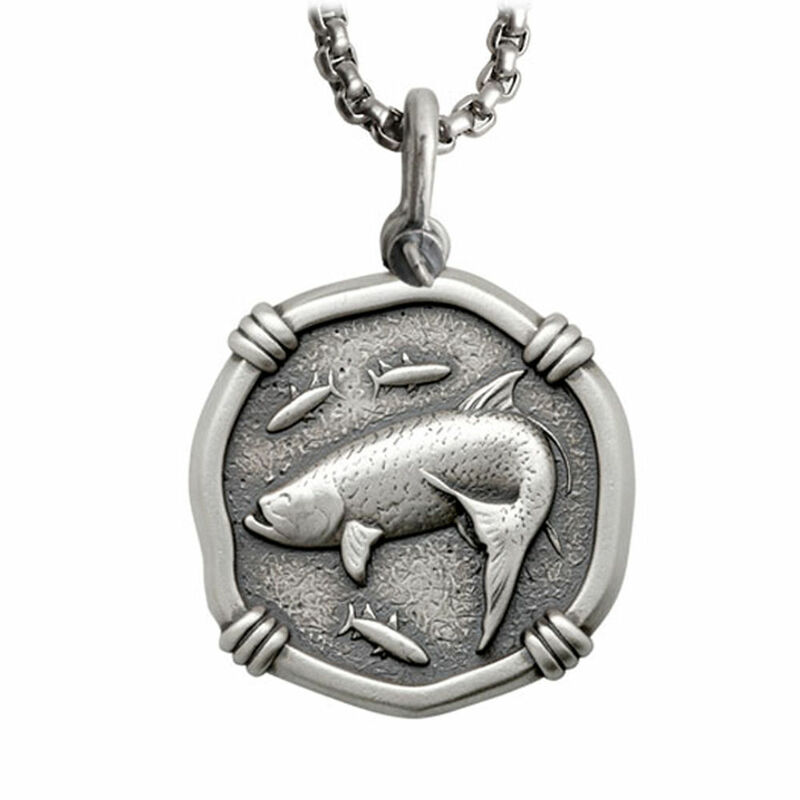 The Guy Harvey Big Game Circle Hook Necklace is a statement piece in every way. 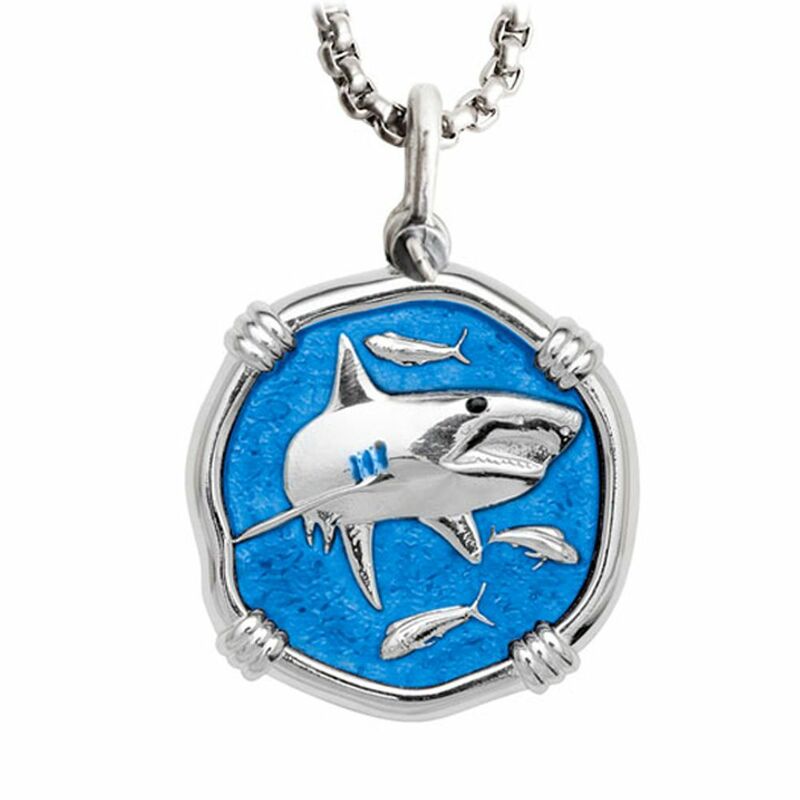 It is the ultimate fashion statement for the offshore angler. 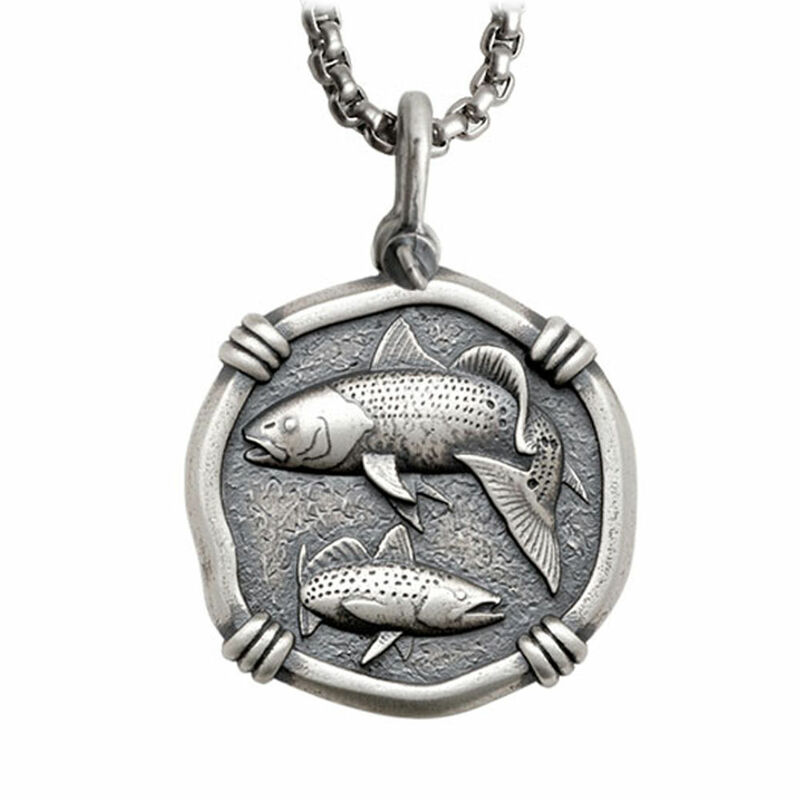 The Guy Harvey Big Game Circle Hook Necklace is a statement piece in every way. 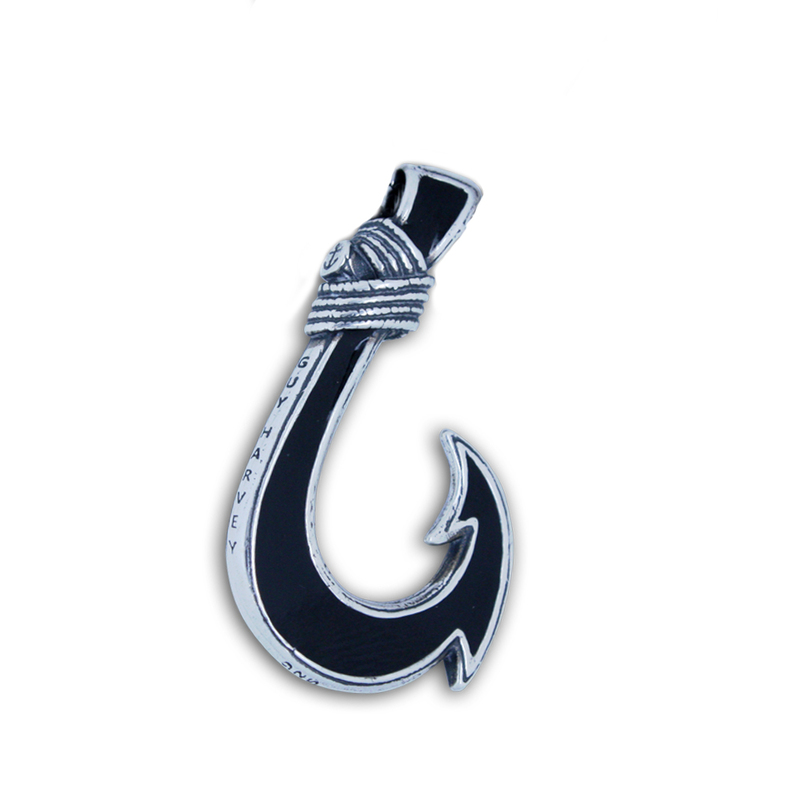 It is the ultimate fashion statement for the offshore angler and when you wear it, you display your knowledge of the importance of circle hooks to the sustainability of our fisheries. This piece is meticulously crafted by our skilled artisans. Each time you gaze upon it, you will discover a new detail. 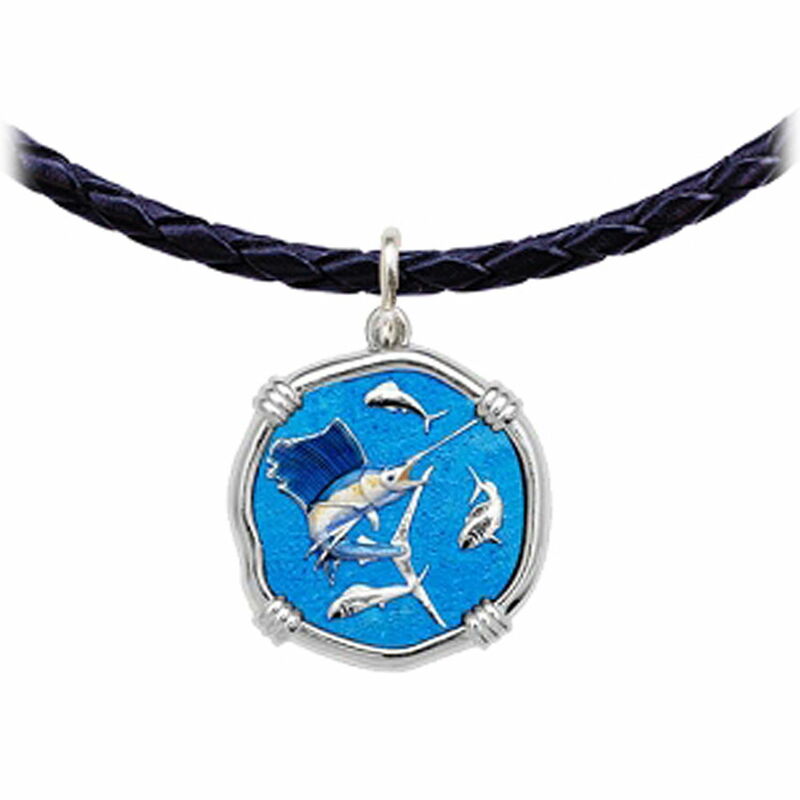 The Blue Marlin is chasing flying fish up the shank of the hook and the anchor symbol represents safety at Sea and in your travels. The Marlin style is inspired by Guy's Old Man and the Sea series, which is an artistic interpretation of Ernest Hemingway's epic novel. 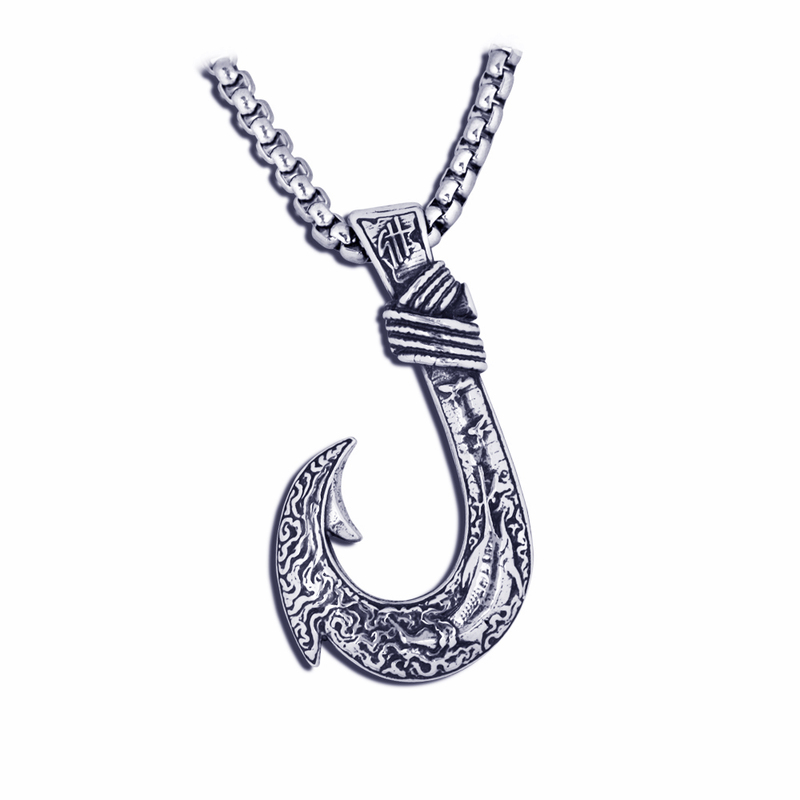 The Big Game hook necklace is made in the style of the traditional hooks called Makau, which represent everything good- strength, prosperity and good luck. 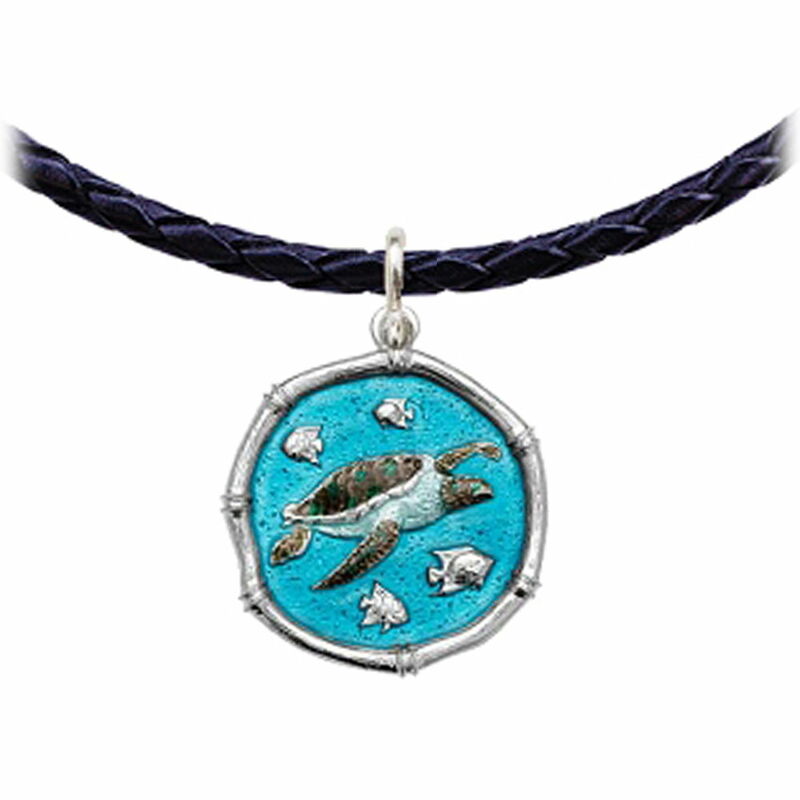 The original Makau pendants were often made of bone. 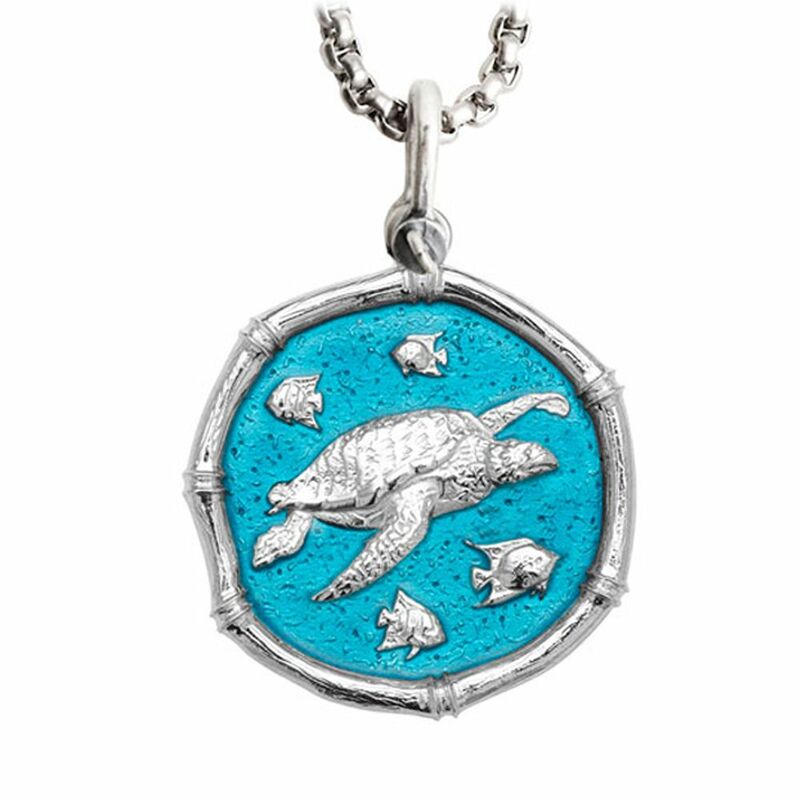 We have crafted ours in recycled Sterling Silver and enamel and the chain is a sturdy 316 Forte Steel link chain. The size of this piece is impressive at 1 1/2 inches tall and 7/8 inch wide. The back of the Big Game Circle Hook has your choice of black or blue enamel inlay for added style and comfort and is reversible. When you purchase the Big Game Circle Hook, we will make a donation in your name to the Guy Harvey Ocean Foundation to support education and conservation of our Seas.We encourage you to use circle hooks whenever you target big gamefish.